The year of 2006 marked a milestone year of change for Great Lakes Carpentry. That was the year that we fully embraced the concept of building sustainable, energy-efficient homes. We were very proud and excited that we had made the leap from the old paradigm of home building, which primarily focuses on the visual aspects of the exterior and interior of the home and broadened our focus to include the performance aspects of the homes we build. We enrolled and tested our homes through the Wisconsin Energy Star New Homes Program and certified them “Green” through Wisconsin Environmental Initiative’s “Green Built Homes” program. For us at Great Lakes Carpentry the paradigm shift made perfect sense. The “Green” movement was gaining traction and it seemed that everyone would be climbing on board. We anticipated that the “Green” home building field would become full, as our competitors rushed to join the movement. I’m sad to say that in our area the “rush” to enter this market segment has yet to come. That didn’t stop us. We jumped in, with both feet. We studied Building Science and came to realize the benefits of taking a “holistic approach” to the design/build process and in implementing “building science best practices” into all of the homes we build. We immediately understood that energy efficiency is the cornerstone of green building practices. We focused on energy and honed our skills at making our building envelopes as well insulated and air-tight as we possibly could. Our understanding fostered a sense of responsibility and we knew that there was no turning back. No longer could we recommend building run of the mill homes. We couldn’t recommend using old technology , materials and methods that lead to wasted energy, poor indoor-air quality and degradation of the structure with a clear conscience. Since 2006, we’ve earned our Certified Green Building Professional designation, through the National Association of Home Builder’s, National Green Building Standard program and we’ve become Trade Allies of Focus on Energy New Homes program. We’ve carved ourselves a niche, as the only Certified Green Building Professional designation holder, for miles around. We’ve evolved into a group of, “happy people, building sustainable, energy-efficient homes.” Our field and office staff have a purposeful step to their stride. Each new home offers the opportunity to hone our skills and to improve upon the performance data gathered while testing our previous projects. Our team takes pleasure in rising to the challenge to do better at every opportunity. We think that this is a win, win, win scenario. The customer wins, by getting a home that is safe, durable, energy-efficient and costs much less to operate than the typical home. Our environment wins, because we’ve reduced the amount of green-house gas generated for operating the home and our staff wins, because of the sense of accomplishment and pride taken from doing the right thing for our client and our environment. Believe it our not. This was the easy part. Our biggest challenge lies in education consumers. We’ll talk more about this challenge in our next post. You may or may not have heard of a rating index for homes called a HERS score. That stands for Home Energy Rating System, and was developed in 2006 by RESNET. Just like a car has miles per gallon, which can help you determine how efficient your car is, a HERS rating can tell you how efficient your home is running. The lower the number your home has, the more energy efficient it is. One of the first requirements a car must have these days, is good gas mileage. When buying a home, one of the requirements should be a good HERS score. Homes that can prove they have a good HERS score make the home more valuable. 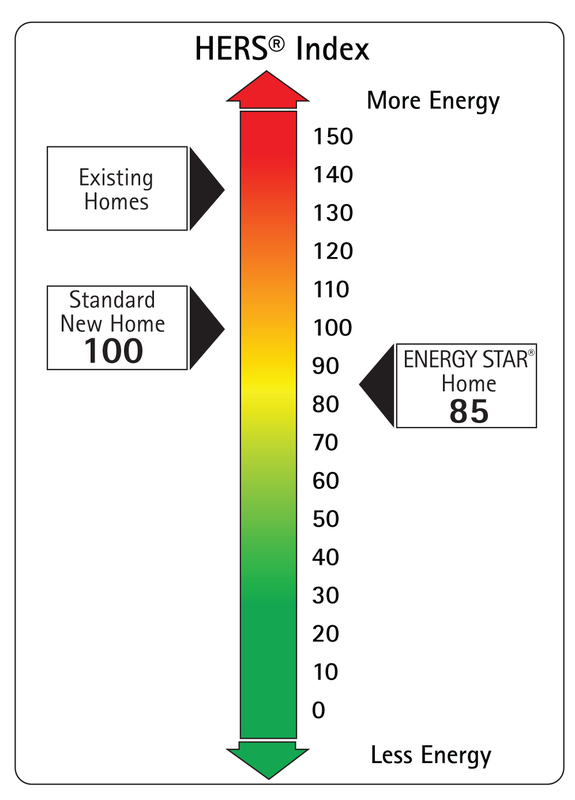 A HERS rating can also allow the home buyer to anticipate how much energy its going to take to heat and cool the home. Typical existing homes score between 130 and 140 on the HERS index, which is not that great. A standard new home scores 100, and an Energy Star Rated home scores a 85 on the index. A home that scores zero on the index is considered a net-zero home. Our most recent project that we refer to as “The Energy Sipper” achieved a HERS score of 37, while achieving “Passive House” air-tightness standard. If you would like a more technical explanation of the HERS index, click here. Like us on Facebook, follow us on Twitter, and visit our website to contact us! Great Lakes Carpentry is committed to building energy-efficient homes. We conduct home performance testing for our new homes through the Focus on Energy New Homes Program. We also provide performance testing for our remodeling projects through Home Performance with Energy Star. 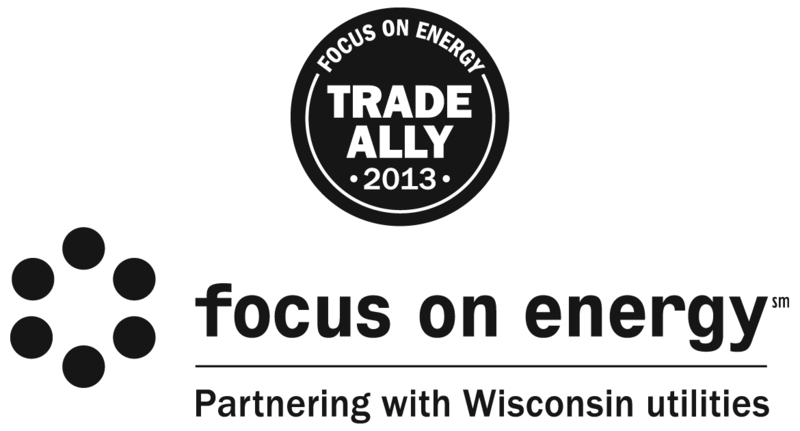 Focus on Energy is Wisconsin utilities’ statewide energy efficiency and renewable resource program. Great Lakes Carpentry is a member of the Focus on Energy New Homes Program and is dedicated to helping Wisconsin residents and businesses save money, energy, and protect the environment. – Focus on Energy has received the highest level of international recognition for managing environmental impacts and instituting a culture of continuous improvement. – Focus on Energy offers incentive programs for residents and business . Follow the links to learn more about each. – Through the Focus on Energy New Homes Program, we provide third-party testing of your home. The third-party is responsible for testing the home for energy efficiency. – Did you know Focus on Energy offers a program to recycle your old appliances such as microwaves and refrigerators for FREE? Now you do. To learn more about Focus on Energy visit their website: wwww.focusonenergy.com. We are Great Lakes Carpentry, Inc. and our objective is to help our customers save money on their home energy costs, while helping them reduce their carbon emissions through smart home building. We are proud to be the first builders in the State of Wisconsin to build a Wisconsin Energy Star Rated and Green-Built Certified Full Log Home. Great Lakes Carpentry is a custom home builder serving beautiful Northern Wisconsin. We specialize in building high performance timber frame, full-log and SIP (structural insulated panel) homes. Our passion lies in building safe, durable, and extremely energy-efficient homes. We’ve taken the Department of Energy’s “Builders Challenge” for innovative and energy-efficient homes and currently hold the lead for enrolled and verified homes for the State of Wisconsin. We created this blog in order to inform the public of the benefits of practicing building science principles and disciplines, for the design and construction of their new homes and remodeling projects. We will do our best to keep our posts current and fresh. We look forward to sharing our experiences with what we hope will become a like-minded following. We look forward to any and all comments, as long as they are constructive. It’s how we learn to raise our game. We hope for encouragement and are eager to share information and ideas. Thank you, for reading and showing an interest.